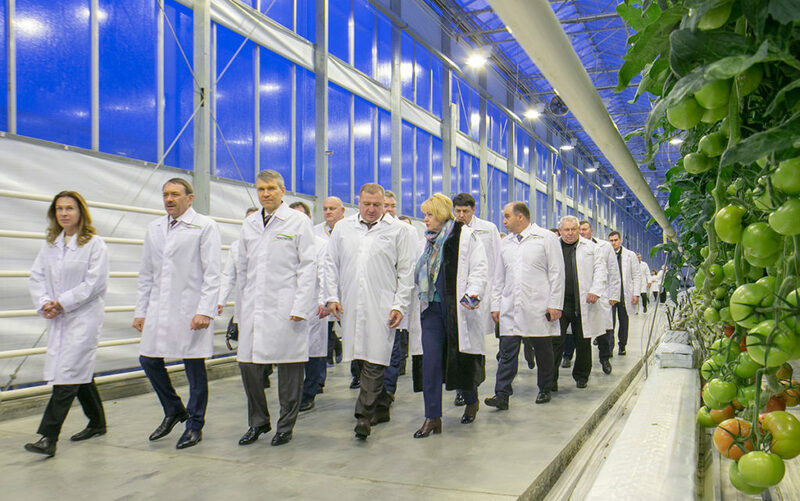 Investment in construction of APH ECO-Culture greenhouse complex will exceed 15 billion rubles – Agro-industrial holding "ECO-culture"
On November 16, 2018 a solemn laying of the first stone was held of the third and fourth phases of the Solnechny Dar greenhouse complex located in the Izobilnensky city district of Stavropol Krai, Solnechnodolsk settlement in the territory of the Solnechny regional industrial park. 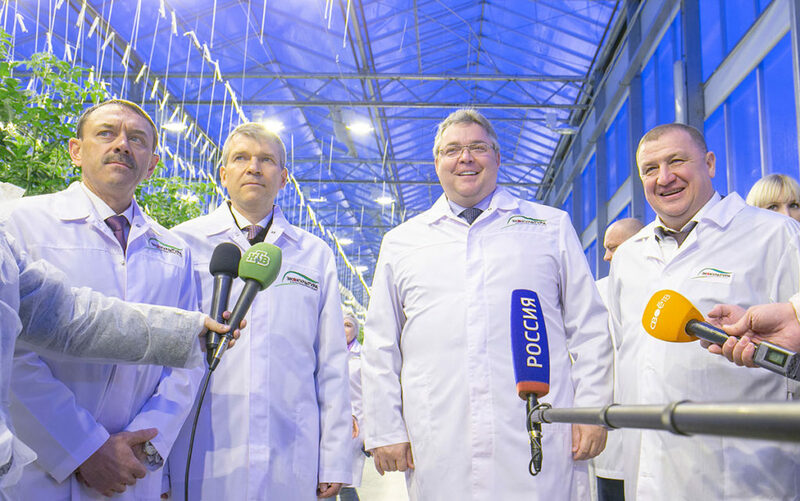 On the area covering 58.72 hectares a modern hi-tech production of vegetables is going to be launched. 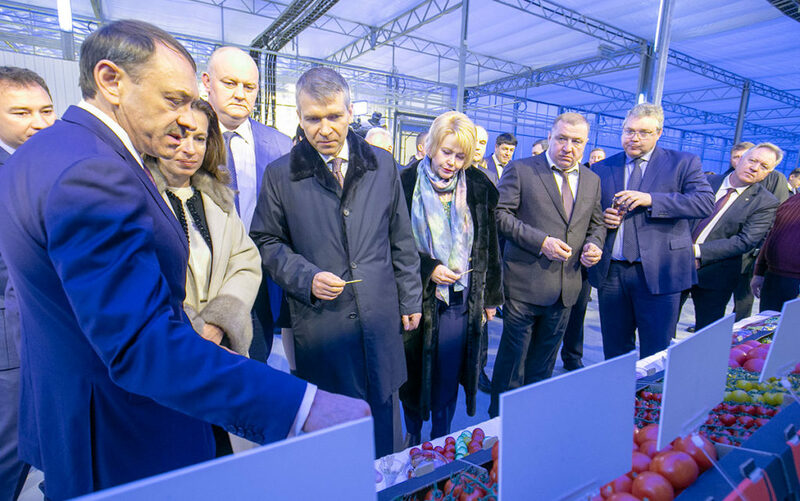 After reaching the designed capacity more than 35 thousand tons of different varieties of tomatoes will be grown in the complex. Investments into the third and fourth phases of construction will be more than 15 billion rubles. Financial partner of the project is Rosselkhozbank JSC. The third phase launching is planned for the third quarter of 2020. 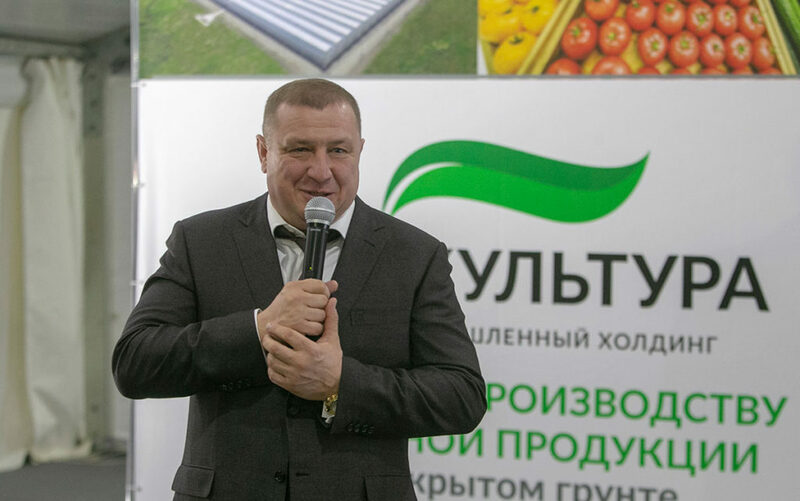 The Solnechny Dar greenhouse complex of year-round exploitation will be built on the area of 26.05 hectares. 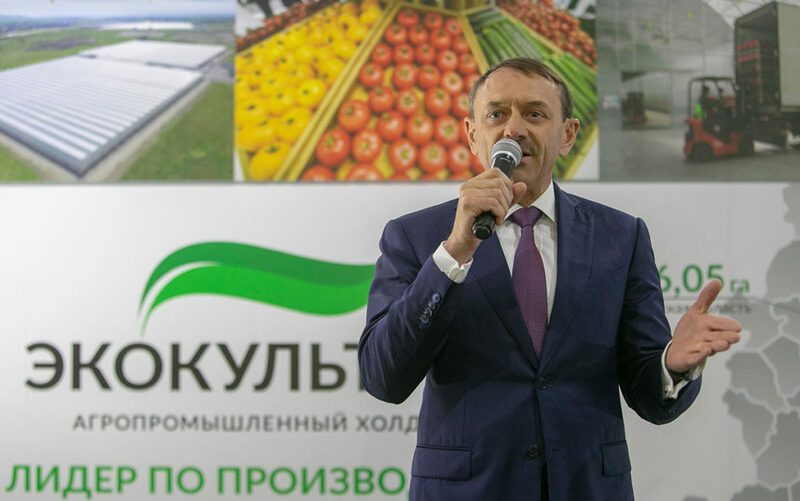 The overall capital budget will be 7.472 billion rubles, 5.827 billion of which will be investments of the bank and 1.645 billion – the company’s own funds. 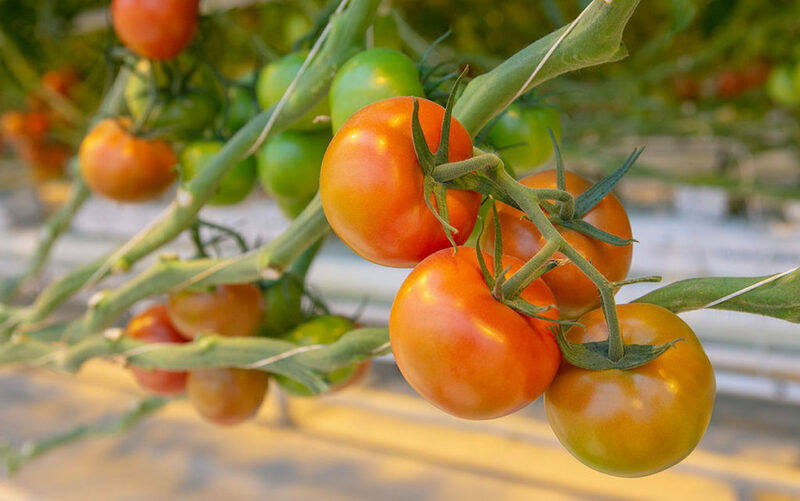 The annual volume of the production of tomatoes will be 14 thousand tons. There will be also 385 new jobs provided. 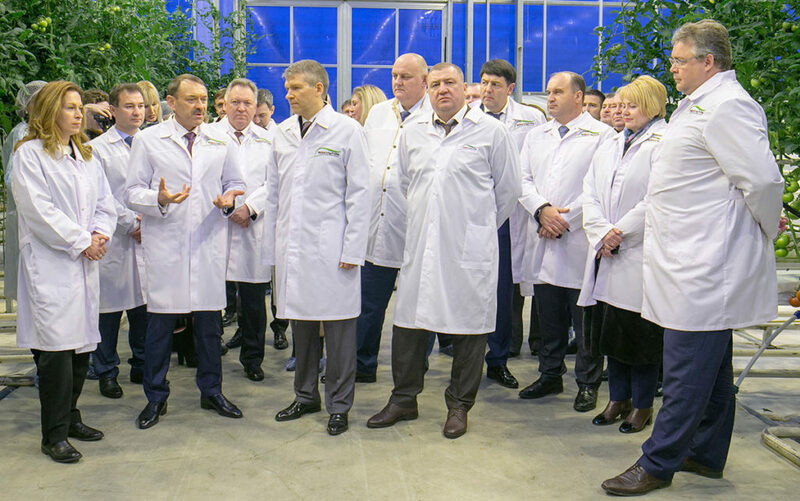 The total area of the Solnechny Dar greenhouse complex after the fourth phase will reach 32.67 hectares. The beginning of construction is planned for the second quarter of 2021. The new complex will provide 498 new jobs. 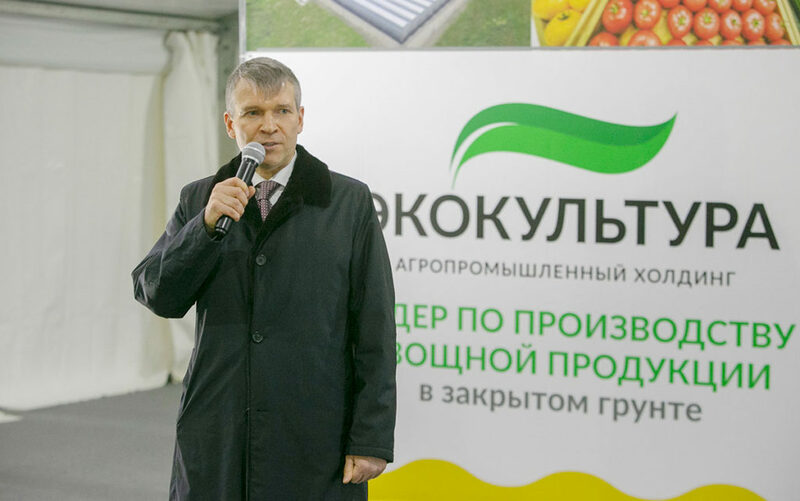 The overall capital budget will be 8 billion rubles, 6.4 billion of which will be invested by the bank and another 1.6 billion will be invested by the company. The designed productivity is 21.2 thousand tons of tomatoes a year. 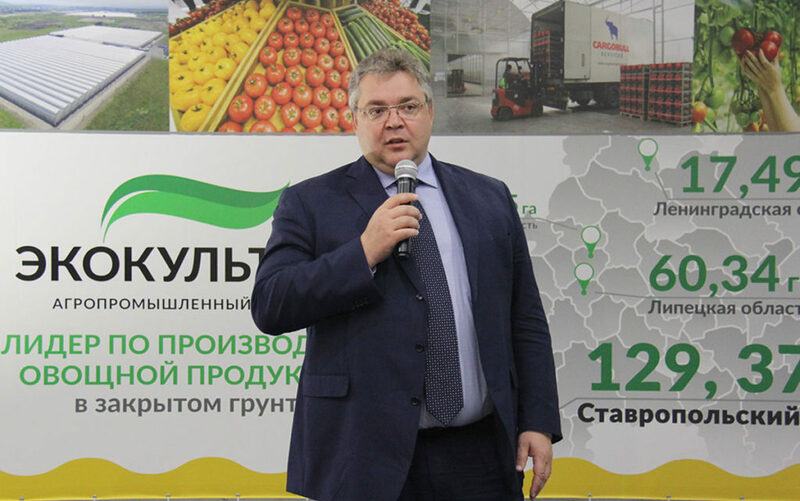 The celebration was attended by the governor of Stavropol Krai Vladimir Vladimirovich Vladimirov, the chairman of the board of Rosselkhozbank JSC Boris Pavlovich Listov, and the head of the Izobilnensky city district Vladimir Ilyich Kozlov.